-- Please Choose an Option --	2 oz. 4 oz. Rare and precious. 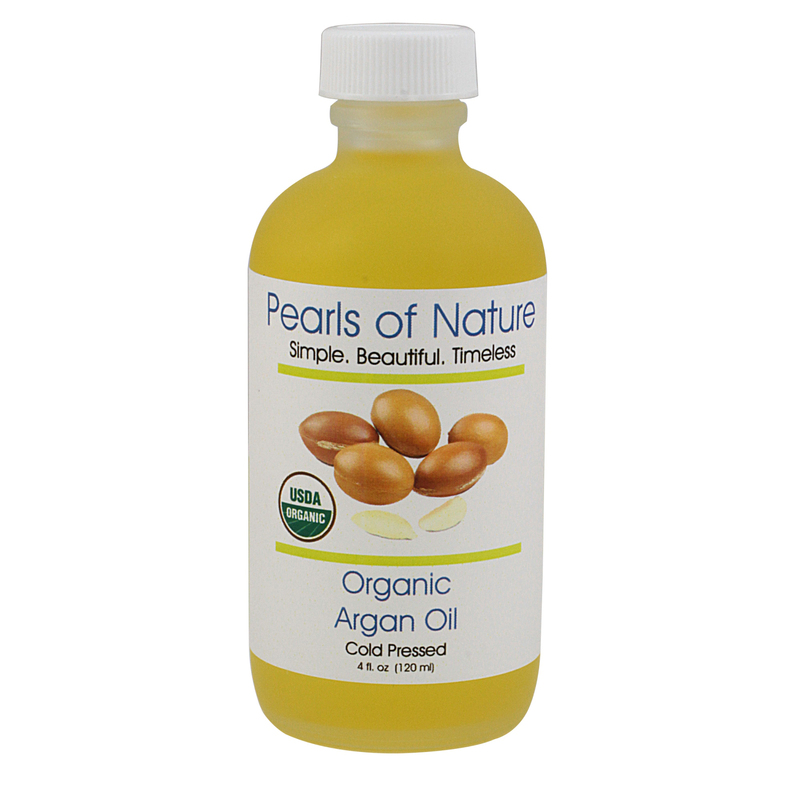 Cold Pressed Organic Argan Oil has a unique mix of fatty acids, phytosterols, and polyphenols that are unmatched in their ability to restore and revitalize both skin and hair. Hydrating, healing, nourishing, and balancing to skin and hair - Argan Oil is the Perfect Beauty Oil! For Hair: Apply a few drops to hair to smooth frizz and repair split ends. Or use as a treatment before shampoo. For Skin: Apply a few drops to skin anywhere on the body. Helpful for eczema, psoriasis and even acne. For Nails: Massage 1-2 drops into cuticle and nail bed. Pearls of Nature skincare is a line of handcrafted natural skincare products that were created out of our love for the gifts that nature has given us. In nature we find a bounty of beautiful raw ingredients that can be used to create products that give our skin what it needs to flourish. © 2013 Pearls of Nature. All Rights Reserved.